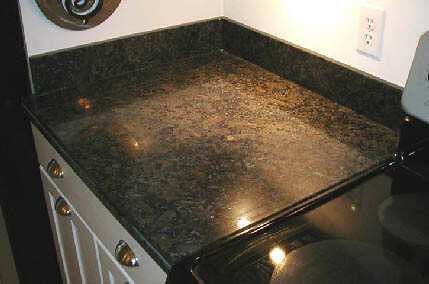 Slab granite is the top dog when it comes to countertop surfaces. It’s a great-looking material that’s durable and excellent for kitchen use. If you can make an investment in granite for your home, it’s a smart move, because granite does not depreciate in value. It’s easy to clean and hygienic. Granite countertops are excellent, but they are also expensive. If you want to save a little money but still get a lot of value, here are five great, more affordable alternatives. Solid surfacing is a broad term that refers to man-made materials that are polymer-based. 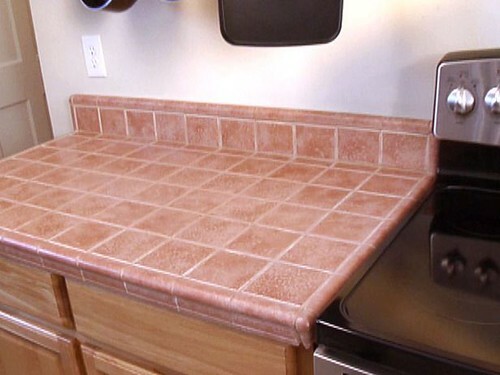 Solid surfacing is a mid-price option, and there are several different types. Below are a few examples. 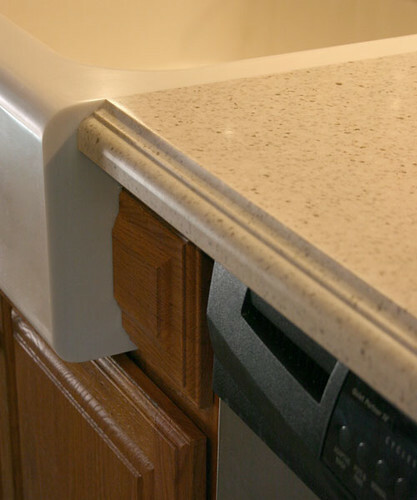 Corian is one of the most commonly-used alternatives to granite. It’s a popular option because it’s very versatile. Corian can be formed and shaped into countertops with no visible seam. It also comes in many different colors and textures. It is actually more durable and easier to clean than granite. 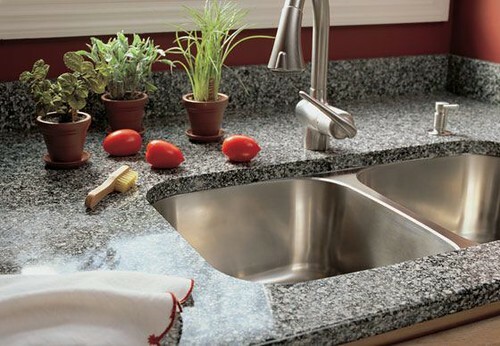 Silestone is made with natural quartz, and it is one of the most eco-friendly countertop materials. It is scratch-resistant, durable, and non-porous, and it does not require sealing. It is the most sanitary surface because it is the only type to have antimicrobial protection. It comes in many different colors. 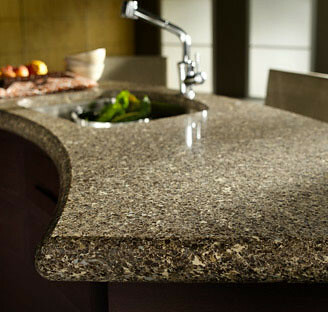 Cambria is another type of quartz solid surfacing. It has the same benefits of other types of solid surfacing, such as durability and versatility. 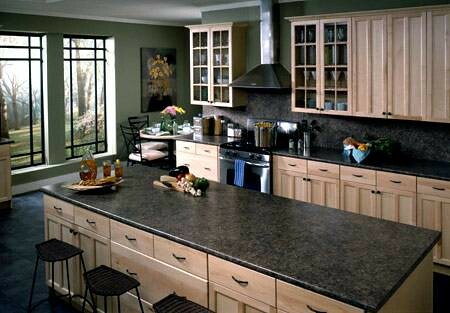 Plastic laminate countertops are also very popular. 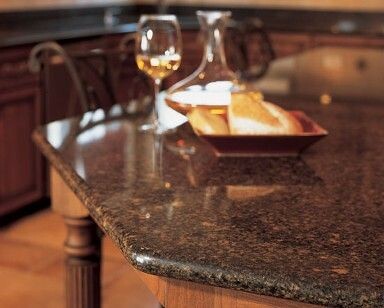 Laminate comes in many different colors and can be made to look like many different materials, including granite. It ranges in price, but most laminate is a lower-priced option. Laminate is stylish and durable, though not as durable as granite. It is not heat-resistant and can scratch, but it is still a great alternative. Ceramic tile is a low-priced option, and it can come in many different styles and patterns. For the most affordable ceramic tile, you can purchase plain tiles and install them on your own. Ceramic tile is easy to clean, although grout lines can stain and require maintenance. It is stain- and heat-resistant. It is easy to repair ceramic tile, because individual tiles can be replaced if necessary. 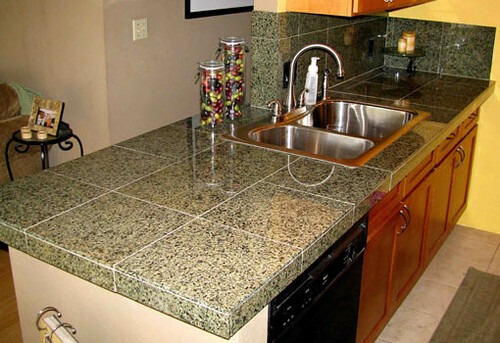 If you really want granite countertops, modular granite is a more affordable option. You have all the benefits of a granite surface without the high cost of granite slabs. It won’t have such a sleek, uninterrupted look, though. Because granite slabs are so large, installing them is not really a do-it-yourself kind of project. Modular granite, on the other hand, is easier to handle and DIY. Tile granite is an even less expensive option, and it is even easier to install yourself. Granite is never going to be a very cheap material, but tile granite is less expensive and may not require any installation costs. It does not need mortar because it can be installed with epoxy, and you do not need to grout between the tiles because they are fitted close together. Stella Brown works for CHS, a Chicago kitchen remodeling company with a passion for innovation.